With the warm weather here, we like to spend a lot of time outside. Of course, when it comes to our summer outings, there are a few things that I always make sure to keep on hand, whether we're going to the zoo, the lake, or just staying put right in our own backyard. These include sunscreen, bug spray, snacks, and water. Those high temperatures can really sneak up on you, so it's extremely important to stay hydrated at all times. This especially holds true for the little ones. 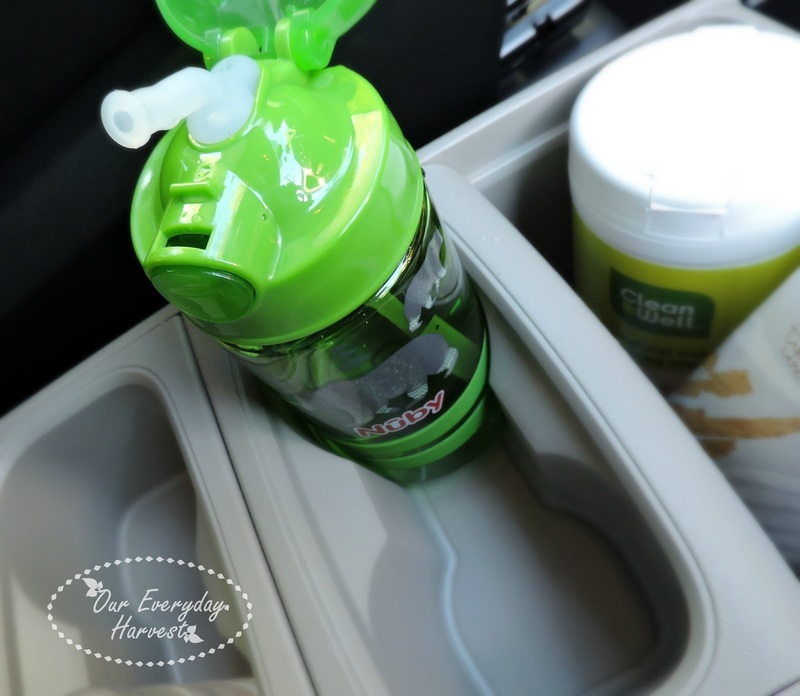 Wherever we're heading, my son always has a water cup or canteen filled up and ready to go. When we're out and about, I especially nice to have something that's spill proof. That's why I'm loving the latest line of Thirsty Kids cups from Nuby. 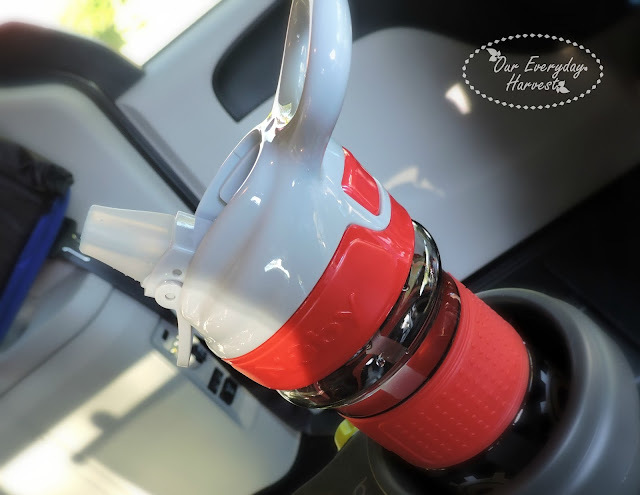 We recently had the opportunity to test run both the Thirsty Kids Flip-it Reflex and Flip-it Active, which are fabulous for our road trips and outside excursions. Traditional cups without a cap or lid can get messy when you're on the move, even for older kids, but not a Thirsty Kids cup. 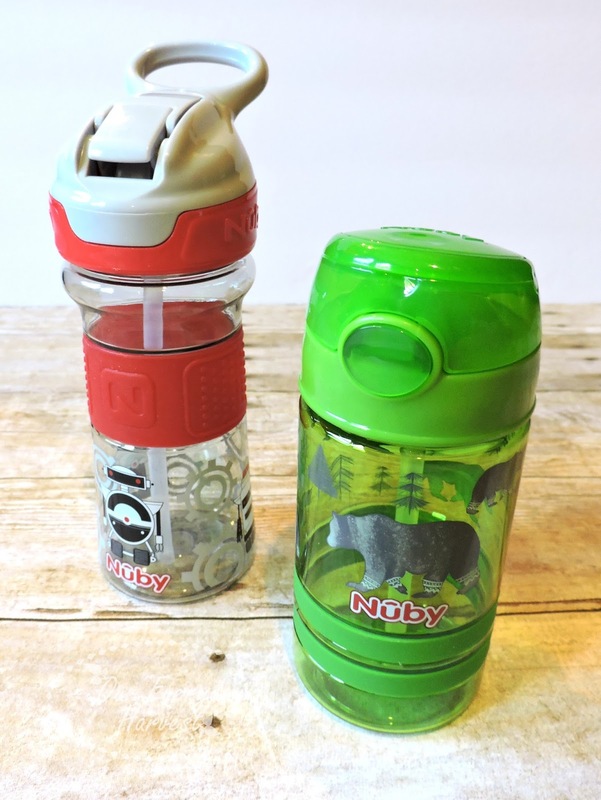 Both cups have a cap that completely closes, so there are no leaks or spills to worry about. This feature is also nice for those accidental drops on the floor. I am a total germophobe, so when a cup hits the ground, I declare it officially out of commission until I can get some hot water and soap to clean it off. Of course this may or may not be an option depending on where you are. 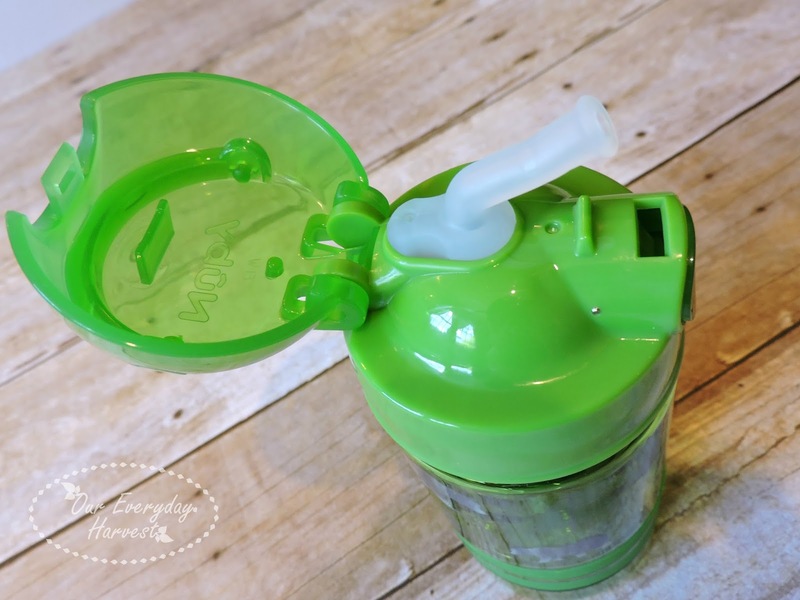 With the Flip-it cups, there's no need to worry, because their nifty hygienic caps close to keep straws and spouts clean. No germs or nasties allowed! 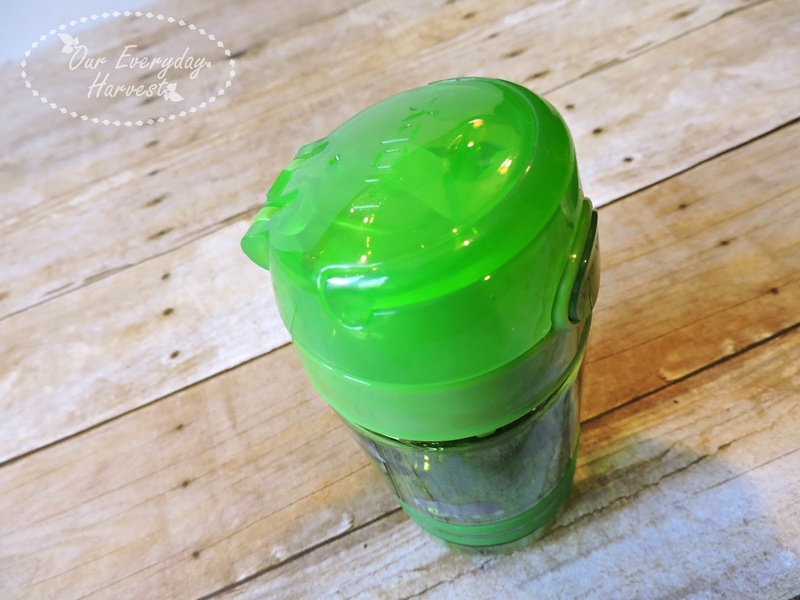 They're also BPA free and made out of Tritan plastic from Eastman, which makes them both durable and safe. 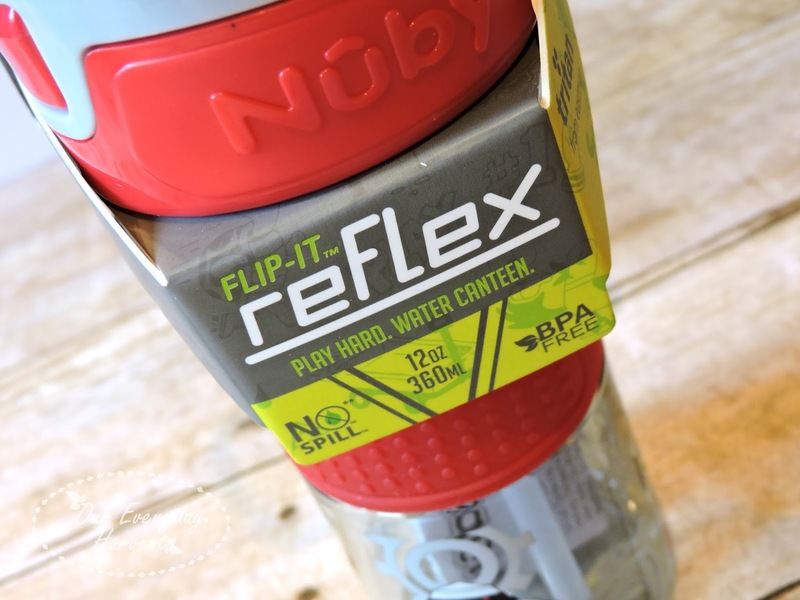 Both the Flip-it Reflex and Flip-it Active have have silicone bands that go around the cup for a good grip. 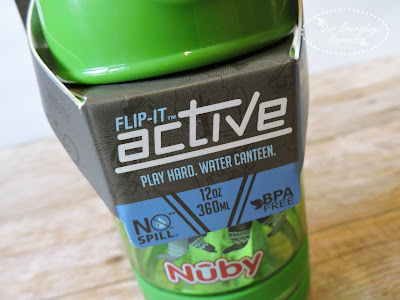 The Flip-it Reflex is especially nice, because it has a streamline design that makes it thinner than other water canteens. It also has a handle on the cap that makes it perfect for toting around. 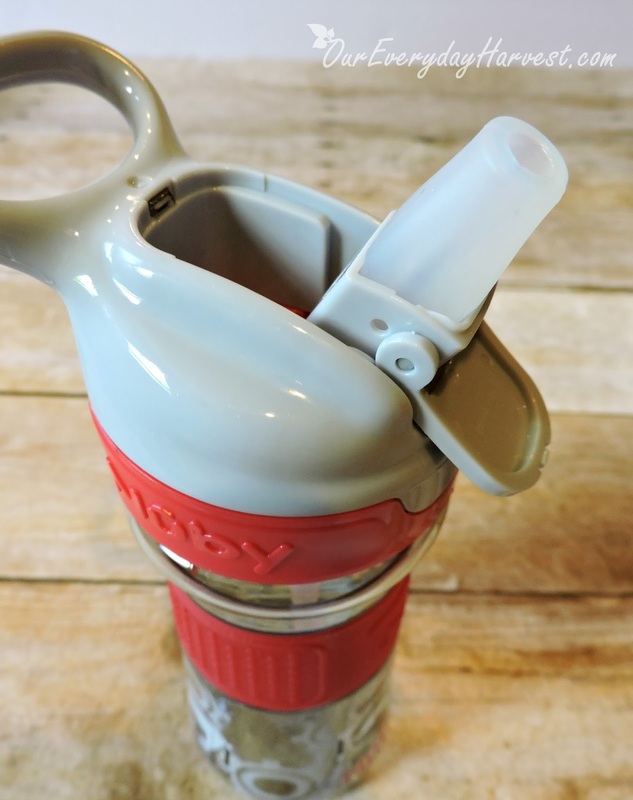 It's features like these that make the Nuby Thirsy Kids line the perfect choice for little hands. Washing both cups are also a breeze. All of the seals, and straws come out in order to clean and sanitize. Plus, everything is dishwasher safe, so there's no need to fuss with special straw bushes, etc. 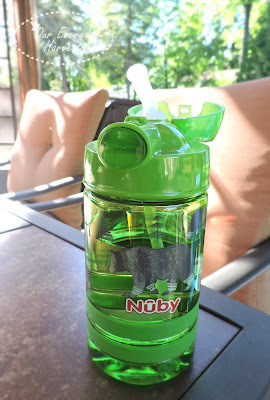 Nuby's line of Thirsty Kids cups and canteens come in all sorts of colors and designs that will appeal to both boys and girls. The Thirsty Kids Flip-it Active offers a flexible straw for drinking. 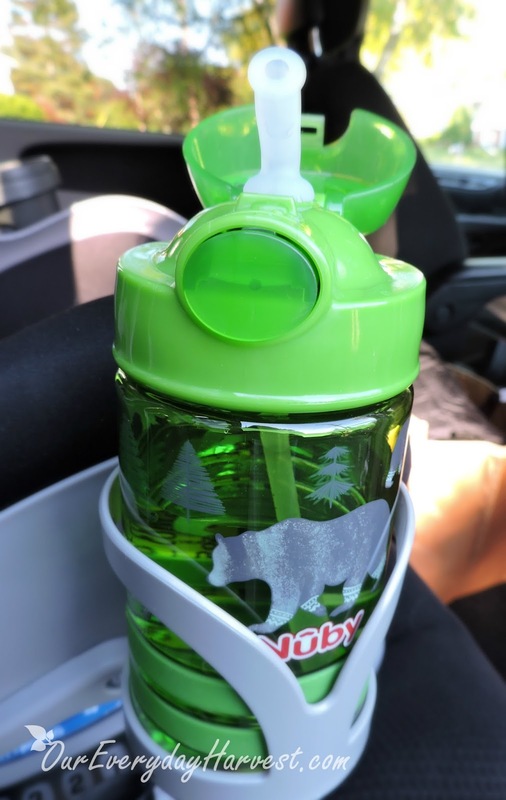 This bear design in green was my favorite of the choices, because it has a wilderness theme, which we're a fan of. 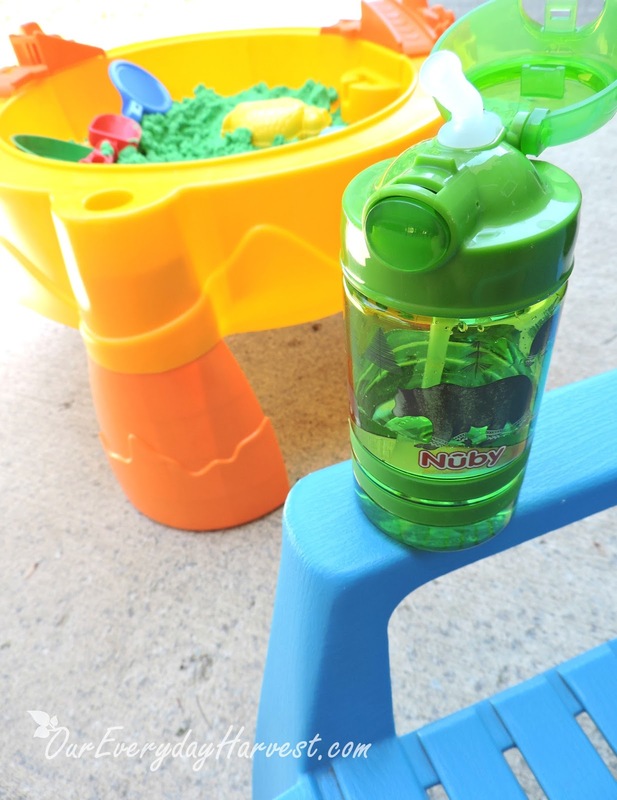 The recommended age range for this cup is 18 months or older. I personally think it's perfect for children all the way up through six years old. 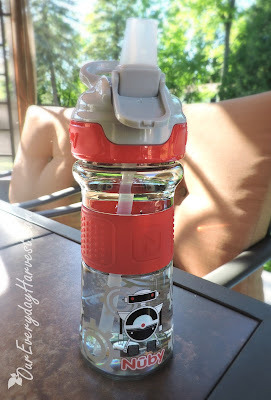 This Thirsty Kids Flip-it Reflex in red, sports a fun robot design that my son really likes. This one has a suggested age range of 18 months and up. Since it holds up to 12 ounces, it definitely serves as the perfect travel bottle for children up to six years old (maybe even older). Wherever we go and whatever we do, I always make sure that my family stays hydrated, especially during these hot summer days. It's nice to have a water bottle or cup on hand that's built for "on the go" convenience. 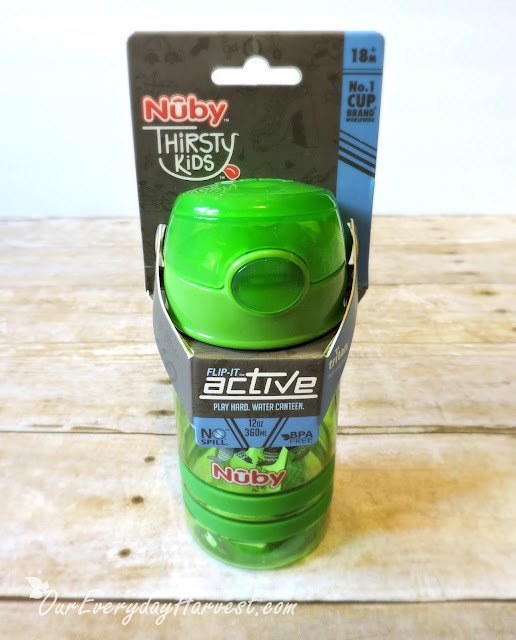 Nuby's line of Thirsty Kids Flip-it cups will definitely be accompanying us on many of our seasonal outings this year. 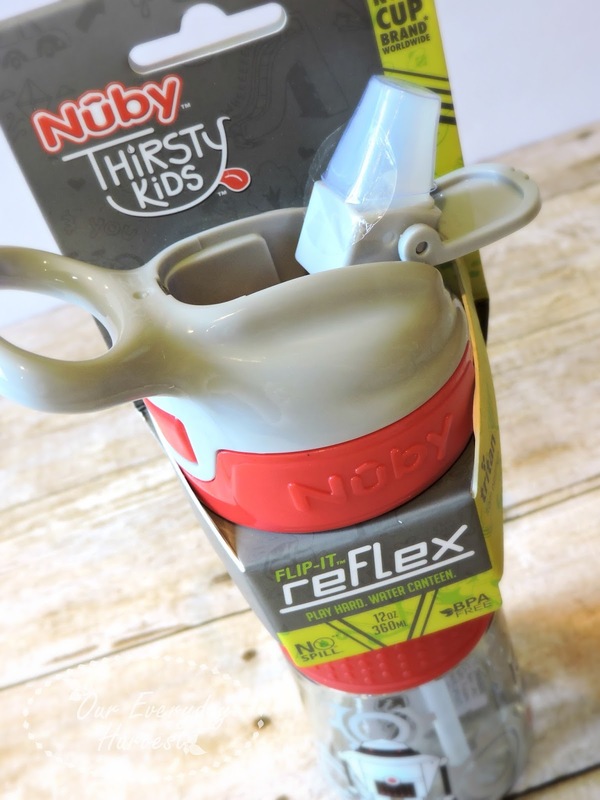 You can find the Thirsty Kids Flip-it Reflex at Target stores. The Thirsty Kids Flip-it Active is a brand new product, so be sure to keep a look out for it at your local Babies R’ Us store. Does your child already enjoy using Nuby products? 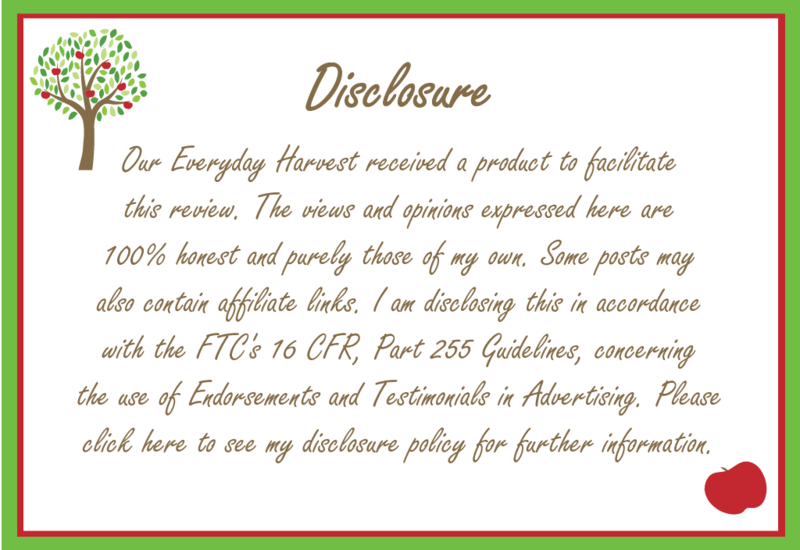 Be sure to share your children's favorites in the comments section, below. 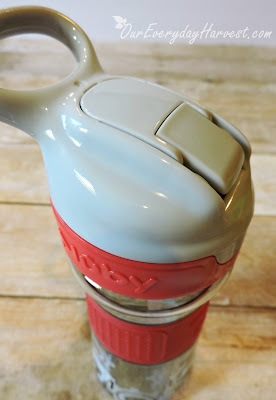 You can also check out my last post where I highlighted the Nuby Sure Grip Miracle Mat Section Plate. If you're in need of a durable mealtime plate that's going to stay put on the table, then this is the one to get! 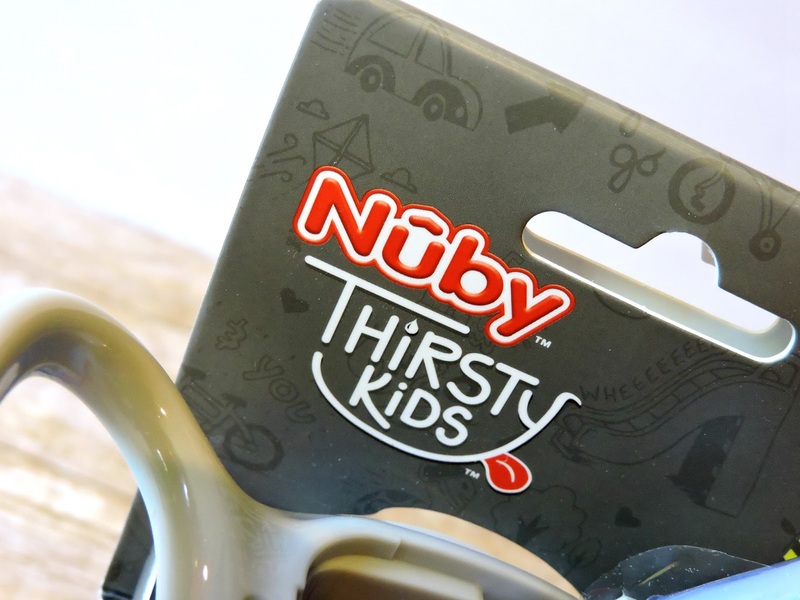 Connect with Nuby on social media to learn more about their complete line of children's products.